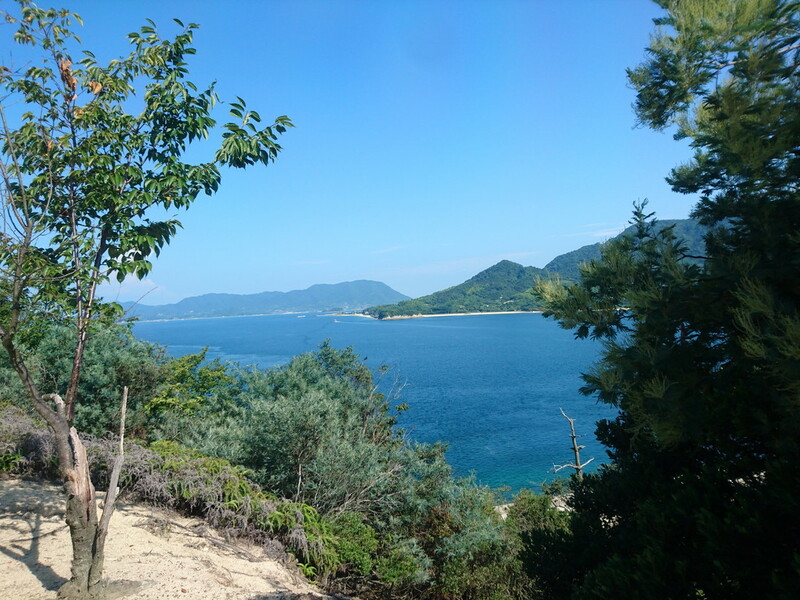 If you have an opportunity to go to Hiroshima and Setouchi, we would like to recommend you to go to Ohkunoshima, a small island in the Seto Inland Sea. 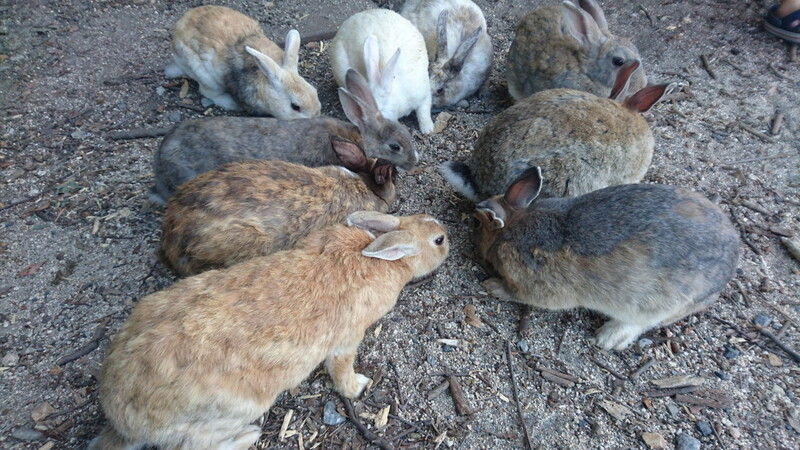 The greatest appeal of this island which is famous as a “Rabbit Island” is being able to meet lots of wild rabbits. 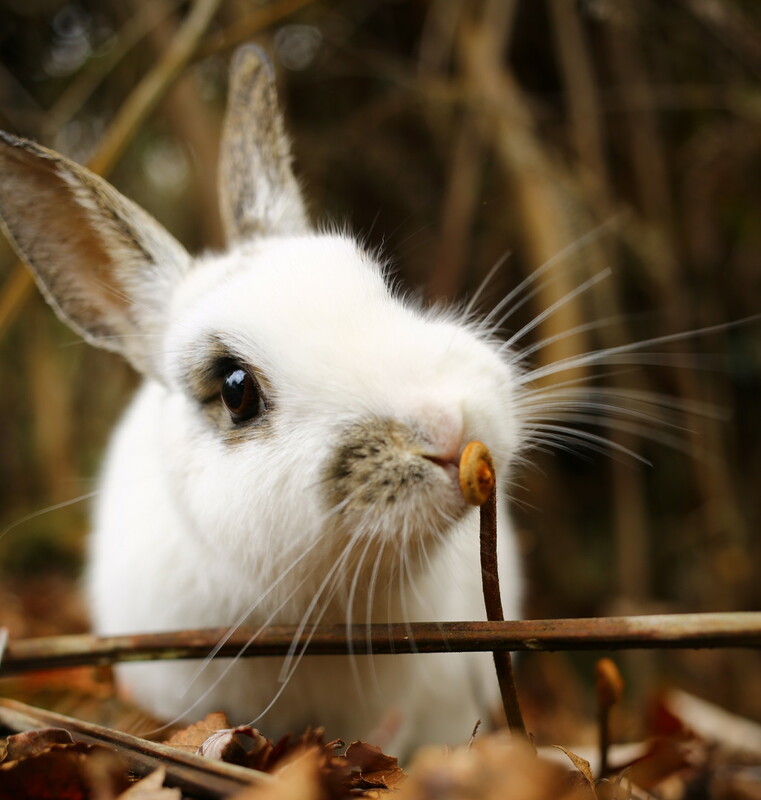 It is said that rabbits which had been kept in school was released and became wild. You would not be able to experience cuteness of a flock of friendly rabbits coming near elsewhere. 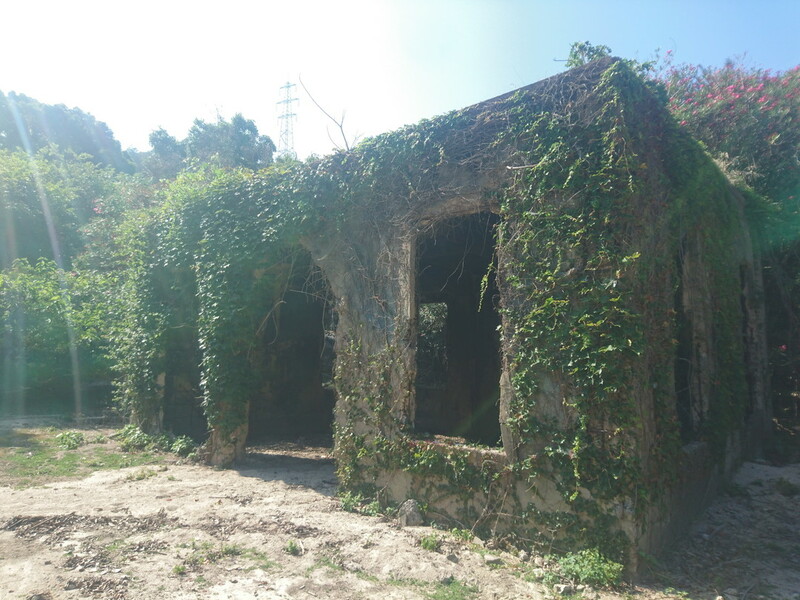 On the other hand, with ruins of old military facilities remaining, it is part of attractiveness of this island to make us feel the flow of time. We will show you how to enjoy Ohkunoshima. You will go to Ohkunoshima with a ferry. It takes only 15 minutes from Tadanoumi Port to Ohkunoshima. This sea called the "Seto Inland Sea" is mild in climate and unruffled. A peaceful view with many small islands floating is also attractive. You can enjoy a leisurely cruise. 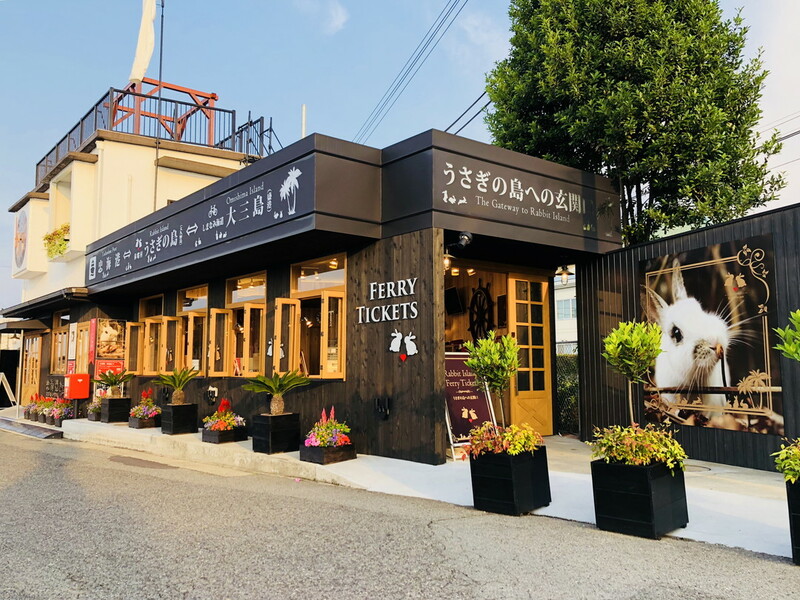 As you can leave your luggage at the port for 500 yen a day per luggage, you can enjoy a day trip to the island while traveling with a suitcase. It is convenient for people traveling with rental car that the ferry also carries cars. However, since private passenger cars are prohibited to travel within Ohkunoshima, they would be parked in the parking space of the port you get off. You Can Take Pictures with Wild Rabbits to Your Heart’s content! Soon after landing on the island, you will see a small flock of rabbits looking at you interestingly. 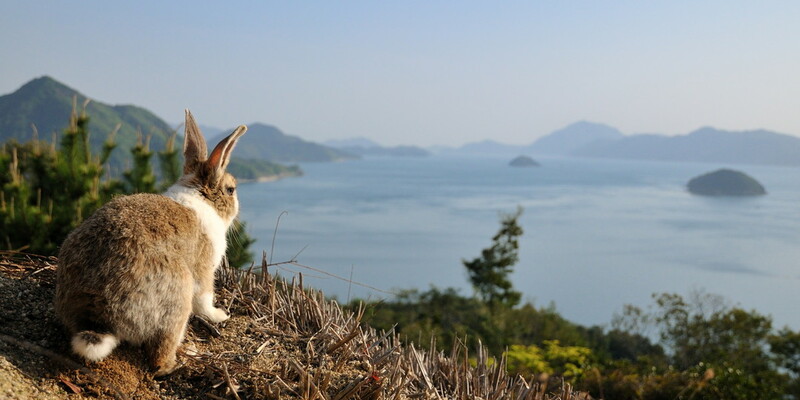 As about 700 rabbits live in the island about 4 km in circumference, you can see the rabbits everywhere. 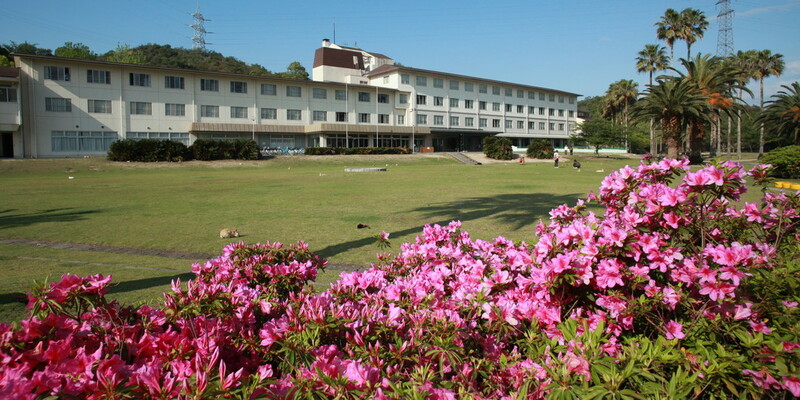 Especially, there are many rabbits in the open space in front of the hotel "Kyukamura Ohkunoshima". You will be also impressed by encounter with the rabbits that appears suddenly when walking around the mountain road. Incidentally, as foods for human beings are harmful to rabbits, you must not give it! Also, if you leave foods, crows would come and attack the rabbits. So please make sure to take them home. Since they are wild rabbits, if you try to hold them forcibly, you may get injured. Please be careful. With such a little consideration, you can enjoy playing with rabbits and taking pictures to your heart’s content. Actually, in Ohkunoshima, poison gas had been produced as a weapon until World War II. Since the gas had been manufactured secretly, Ohkunoshima was erased from a map and it was supposed not to exist in a certain period of time. There are many brick buildings built in such times left in Ohkunoshima. 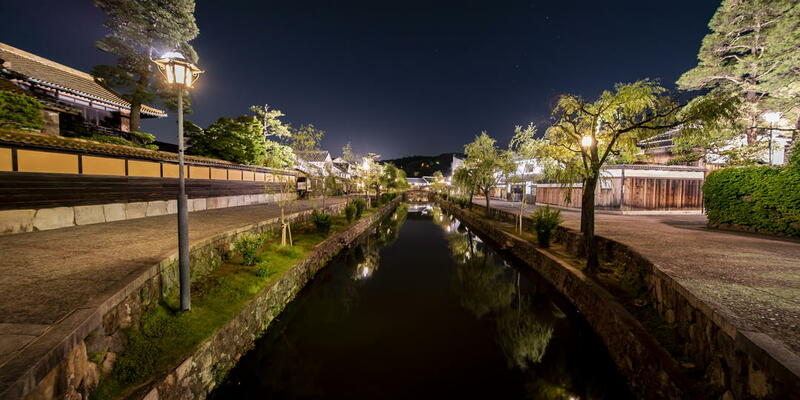 When you are thinking about the past, seeing the old buildings covered presently with green leaves, a rabbit may appear suddenly. It is also attractiveness of Ohkunoshima to be able to spend time like a story. 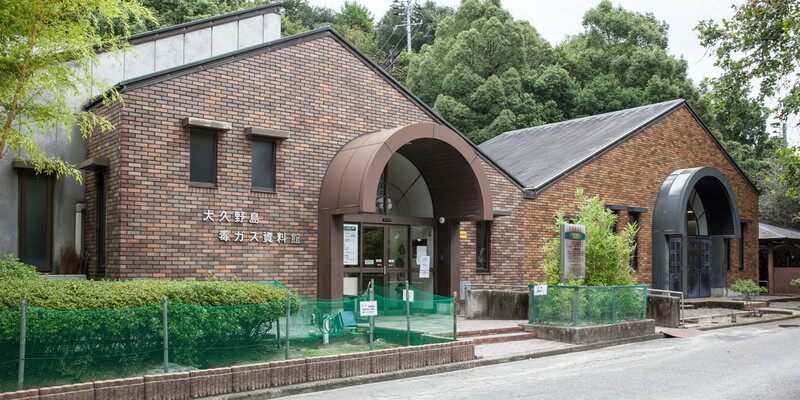 The history of poison gas production is exhibited at “Ohkunoshima Poison Gas Museum' (admission fee 100 yen). Enjoy Peaceful Island Scenery by Walking Around or Taking a Bike Ride! Ohkunoshima is a small island about 4 km in circumstance. Walking paths in the mountain are so gentle that you can enjoy a leisurely walk. It is also great to take a bike ride in sea wind, renting a bicycle from an accommodation facility “Kyukamura Ohkunoshima.” Looking at the landscape of the Seto Inland Sea from the island, you can surely feel peaceful. After Sweating, Let’s Go to Hot Springs of “Kyukamura Ohkunoshima” to refresh in the bath! After playing in sweat all day long, how about refreshing in the bath? 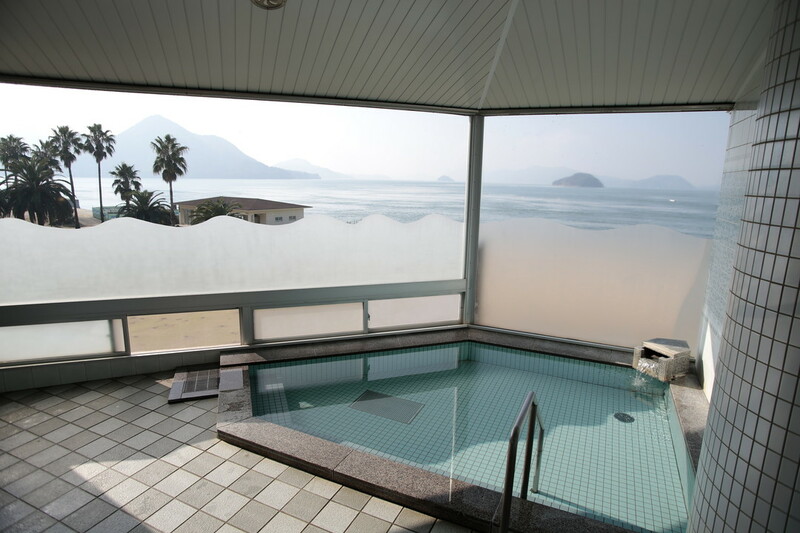 An accommodation facility "Kyukamura Ohkunoshima" has hot springs which are available for visitors (410 yen for 12 years old and over, 110 yen for bath towel rental, 110 yen for face towel on sale, 11: 00 ~ 18: 00). 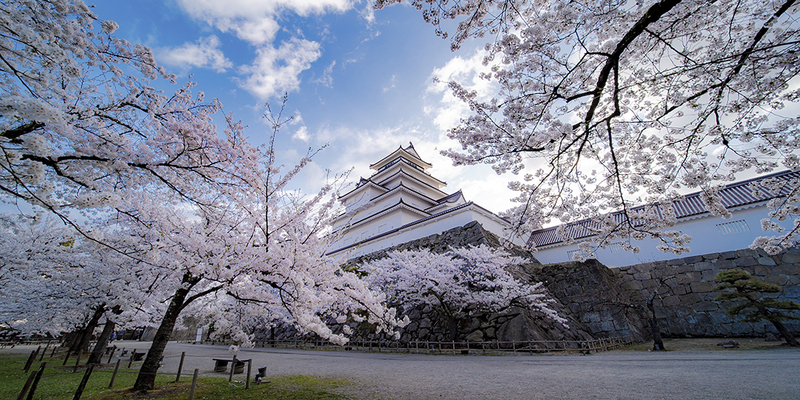 You can relax in the hot spring bath while seeing a beautiful landscape. 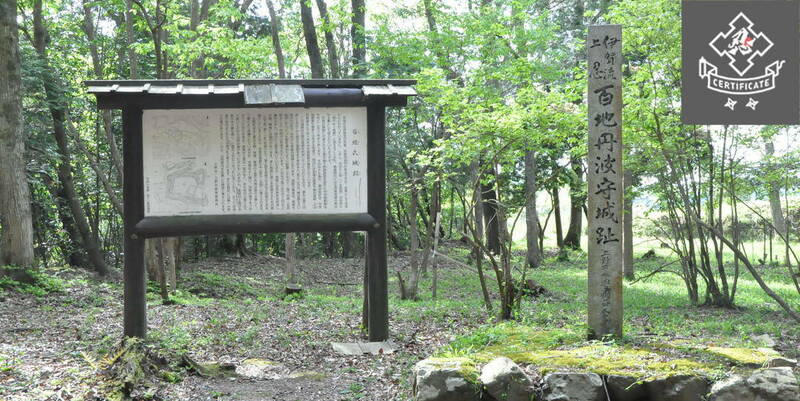 There are two bathrooms named "Okutsu no Yu" and "Kokutsu no Yu". 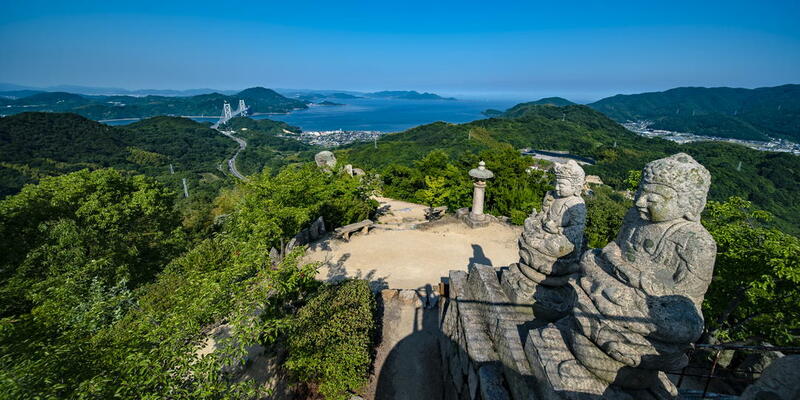 Especially, from the "Kokutsu no Yu" (photo) on the west side, you can see a superb view of sunset over the Seto Inland Sea. If you stay until evening, please try to experience it. 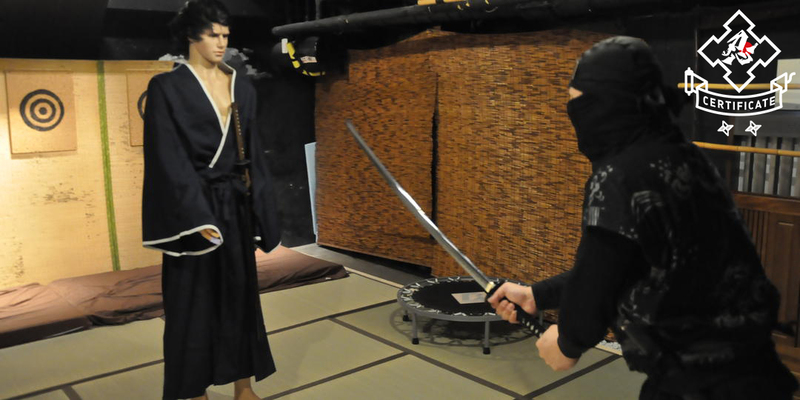 Of course, if you hope to relax, you can stay at "Kyukamura Ohkunoshima."